An elite sartorial mastermind, Yohji Yamamoto has spent four decades skilfully crafting his garments to tailored creative precision. Though Yamamoto feels most at home in the realm of black, his subtly playful nature – exposed through his use of avant-garde silhouettes and brief explosions of colour – has endeared him to fans worldwide. This joy is the focus of a mammoth exhibition that sees Yamamoto’s work featured in Israel for the first time, celebrating this year’s 60th anniversary of the country’s official relations with Japan. Amongst the 80 looks on display are pieces dating back to the designer’s first collection (1977) and forward to Y-3, his long-standing collaboration with Adidas. Design Museum Holon is playing proud host, chief curator Galit Gaon having worked closely with Yamamoto to craft an installation that flowed in harmony with the Ron Arad-designed building. Gaon spoke to Dazed Digital about the experience of working with Yamamoto on this immense project. DD: Why do you think Yohji Yamamoto has achieved such prolific success on a global level? 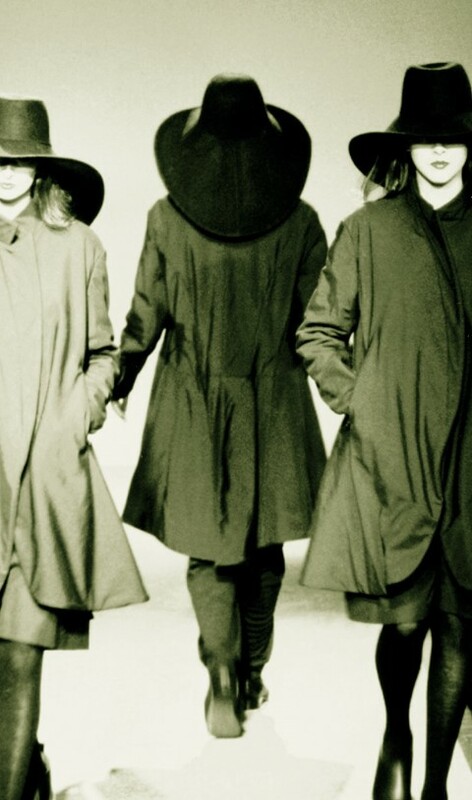 Galit Gaon: Yohji Yamamoto's work is considered avant-garde, but at the same time revered by many. I think it is because Yohji is designing clothes for people. It’s not about him – it’s about us. Julie Gilhart, fashion director of Barneys New York, once said that he is “probably the only designer you could name who has 60-year-olds who think he's incredible and 17-year-olds who think he's way cool”. I fully agree. DD: How would you describe the way the Israeli people feel about Yamamoto’s work? Galit Gaon: Like all of his global followers we admire the layering, simple lines and quiet elegance of his designs. DD: What was working with Yohji Yamamoto like? Galit Gaon: It was an honour to work with Yohji Yamamoto; even though we are a young museum that opened only two years ago, we appreciate the trust and opportunity given to us by realising this exhibition. Masao Nihei, whose profession is lighting and producing space for Yohji Yamamoto’s shows and with whom we worked very closely, was instrumental in the fulfillment of the project and bringing Yamamoto’s designs to life. DD: What marks this exhibition as unique in comparison to those Yamamoto has staged previously? Galit Gaon: This is a site-specific exhibition, haute couture in nature, unique to Design Museum Holon. From my perspective the dialogue between the inspirational freeform architecture of the museum and the sculptural textiles created by Yohji Yamamoto is exciting and ground breaking. DD: What do you hope visitors will take away with them? Galit Gaon: By not having a retrospective or historical exhibition we invite people to explore their relationship with space, time and objects. In this exhibition I feel that we are pushing the borders of the ‘conventional exhibition’ by introducing three different experiences in one. Yamamoto and his team have created an all-encompassing experience that takes over the entire museum, including all the indoor and outdoor galleries and spaces, bringing the world of Yohji Yamamoto to visitors.